Question: I think telling the truth is very important. This was stressed to me when I was little but my child lies and I don’t know how to get them out of it. We like to think that our children always tell the truth but the reality is that most children will experiment with lying at some time. This may start soon after your child learns the power of ‘no’, around 4 years of age or it may become more obvious around 9 or 10 years when they have a strong sense of what you would consider appropriate or the ‘right’ course of action. This is at the same age that children have a fully developed ‘conscience’. Having a conscience means having the full capability to see all the options, appropriate and inappropriate, and to then take responsibility for their decision. To try out the experience and the consequent feelings. You may remember, yourself, the mix of exhilaration and guilt at getting away with a lie. 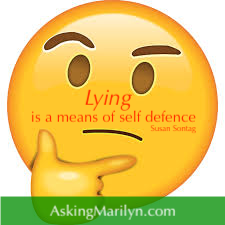 Many parents find that their lying threatens their sense of success at being a competent parent and, as a result, they respond swiftly and with more reaction than might be needed in the circumstances- reaching for punishment to prevent the habit of lying. This is understandable but the evidence is that this can lead to the opposite of what you are trying to do. In a research project, children aged 4-8 were told not to turn around and look at a toy when they were on their own. Two thirds of the children lied about what they had done. It was found that children who were told they would be punished were more likely to lie. Those who were told that their parents would be pleased and would feel better about themselves if they told the truth- told the truth. This tells us that punishments- negative incentives- increase the chance of lying while positive incentives are better motivators. So tell them that telling the truth will make both them and you feel better. Set the standards early on because younger children most want to please and have fewer peer views influencing them. Be clear about your expectations. Emphasise telling the truth and the benefits of that are beyond the mistake/ the broken object/ the lost item/ the forgotten task. Praise the child for telling the truth- it builds trust and stronger relationships whilst working out how to put things straight. Ask the child to come up with ideas to ‘fix’ the situation e.g. with chores. This is then a consequence not a punishment. Do not call your child a liar- labels can stick and the child may fall into a sense of that is who they are and live up to the label. Check your own lying. Children may soon learn that adults lie to get out of tricky situations too. Well we do, don’t we? We find reasons for not doing something, meeting someone or explaining ourselves. When did you last do this? You may want to think about this or, if you are brave, have a family discussion with older children. It will require good communication to share how everybody is challenged on a daily basis to be honest, but the reward will be even stronger family relationships. If your child frequently lies, despite all your encouragement and reassurances, there may be underlying reasons that need more support. In the unlikely situation where a child is lying on a regular daily basis and seems unclear about what is real or fantasy, you may need additional help, especially if you feel they or others are at risk. This would be the exception. It is difficult to spot a child lying by looking at their face as they appear ‘neutral. ’In the UK, minors are judged to be morally and psychologically answerable for their actions around 10 years, according to the situation. Internationally, this may be at different ages. Is arguing a bad thing?